The newly launched domain name about judge Brett Kavanaugh, rides on the recent political controversy. Nothing has been proven against Mr. Kavanaugh, despite allegations of heavy beer drinking when he was at college, which he denies. 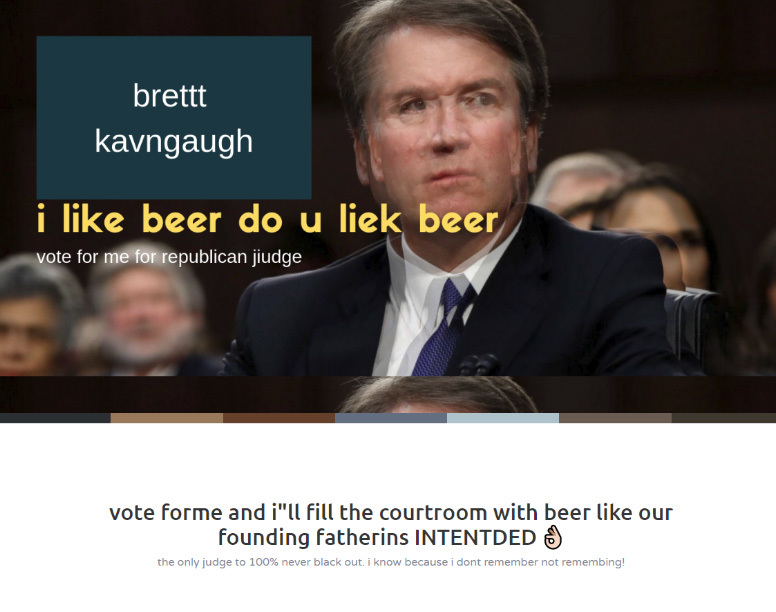 Still, someone decided to have fun at his expense, by launching a parody web site at BrettKavanaugh.beer. Got beer ? This .Blog domain has a renewal fee of $125,000 dollars! I hate that I’m never the guy who thinks to buy domains like this, lol. Although I’m not sure what exactly they’re going to do with that domain now that the whole Kavanaugh thing is blowing over. Mike – Indeed, most political domains have a short lifespan that rarely reaches beyond a year.